Special iApps is a multi-award-winning non-profit social enterprise with a worldwide reputation for creating educational apps for those with learning disabilities and additional needs, as well as in early years education. They initially created apps to teach their youngest son William, who has Down syndrome and autism, now they support children internationally. Our speech and Language therapist talked about children with Down’s Syndrome learning to read using word matching skills before phonics. This app supports the resources my daughter has been given from S&L. Could be improved even further by being able to choose your own words and pics. Hello Gina, thanks for your kind review. You can choose your own words and pictures, and it's very easy to do! To add a word, just tap Word List in the bottom bar (tap More first if using an iPhone), then press the + button at the top. You can now type in a word (or short phrase) and take a photo (or select one from your existing photos). To add sound, press the Record Sound button, speak the word(s), and press again. You can also change the text, picture or sound for any of the 96 supplied words: from the Word List, tap the "i" to the right of the one you want to change. An alternative to adding to or modifying the existing list is to add more lists of your own. You can copy words between lists, reorder their content, and download more lists for free from our website. There's lots more in Special Words, including a range of adjustable settings and the ability to exchange lists of words between devices (e.g. from home to school). For details, take a look at the user guide at https://www.specialiapps.org/guide/special-words, and email us at support@specialiapps.org if you or your speech and language therapist have any questions. Excellent for a child with learning difficulties! 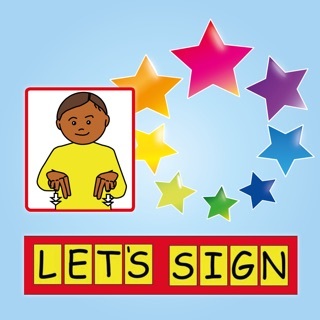 My 4 year old son has down syndrome and was using the printed versions of the material on this app from the DSE website. I also gave a copy to school. Working with the printed versions he would get distracted if I took too long to set all the cards up or would throw them on the ground, chew them etc. However using this app is excellent because it's so interactive & immediate. I especially love that you can create your own words in seconds. Also as well as the text and picture you have also got the spoken word. I even recorded a few new words with a recording of his voice for the object which he absolutely loves. I have also purchased the other app made by the same people call Special stories which I also can't recommend enough. I bought an iPad specifically to buy & use these apps and it was worth every single penny. Even after a few days of using these apps Ive noticed an improvement in his speech.